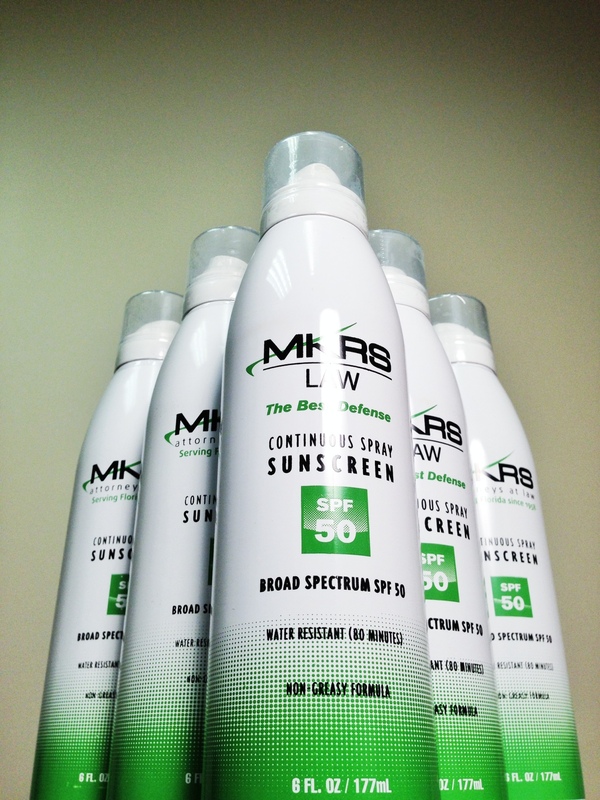 Summer is just a month away, officially beginning this year on June 21st; MKRS Law wants to help you get a head start on beating the heat (not the Miami Heat, of course). The Environmental Working Group (EWG) has just released its 2013 Guide to Sunscreens, which rates over 1,400 sunscreens, cosmetics, moisturizes and lip balms for their safety and efficiency. Over the years, the FDA has worked to make sure that labeling rules were more strict on SPF products. A new requirement is to identify sunscreens that are actually “broad spectrum,” meaning they protect against both UVB and UVA rays. Those that don’t must carry a “skin cancer/skin aging alert.” Another requirement is that if it claims to be water- resistant, then the product must say when the sunblock should be reapplied (for example, every 80 minutes). MKRS Law measures up to those regulations with our very own version of “The Best Defense” in SPF and law. Check out a list of the best and worst.